Tea Lake is open from late April to the May long weekend and from mid-June to Labour Day. It is operated by Whiskey Jack Park Services under contract to Ontario Parks. Tea Lake Campground is located at km 11.4 of Highway 60. 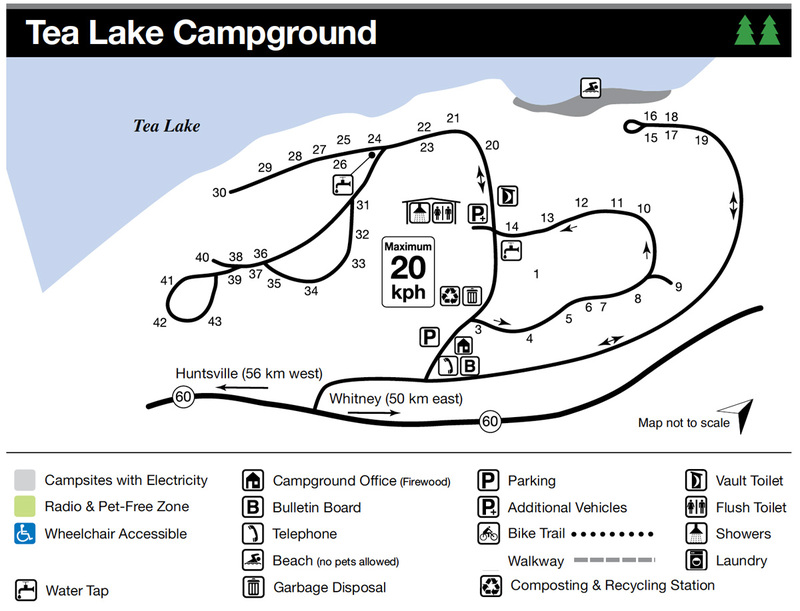 Below is a current map of the Tea Lake Campground for trip planning purposes. Click to enlarge the map.